For at least as long as WordPress has been around, search engine optimization has been taking heat from the masses. With claims of snake oil, sorcery and witchcraft being tossed around, if your business card had those three ominous letters on it, you had best be looking over your shoulder. But how much of what is said about SEO is fact and how much is fiction? How much of the criticisms are coming from people who don’t really understand SEO to begin with? Is it really dead? Can the people selling SEO services be trusted or are they looking to scam unwary business owners? Is it even worth paying for SEO services? As you can see, there are plenty of questions and even more opinions surrounding the validity of SEO. So many in fact that it becomes difficult to know which ones you should listen to and which ones you should ignore. In this post, we’re going to try to dispel some of the myths surrounding SEO. We’ll figure out what, if any, SEO practices you should consider following as well as which advice and whose opinions we should really be listening to. A large part of the reason that SEO is so highly criticized is because it’s often associated with activities that have a high probability of landing your website in Google’s bad books. To make matters even worse is the fact that SEO services were and are sold to companies who unknowingly risk having their website de-indexed or demoted in the SERPs because of shady practices. Link building, thin, duplicate or spun content and keyword stuffing have all been popular tactics at one time or another – and rightly so. For a long time, they worked – until one day, they didn’t. And when Google updated an algorithm or performed a manual action, businesses with good websites were left wondering what the heck just happened. 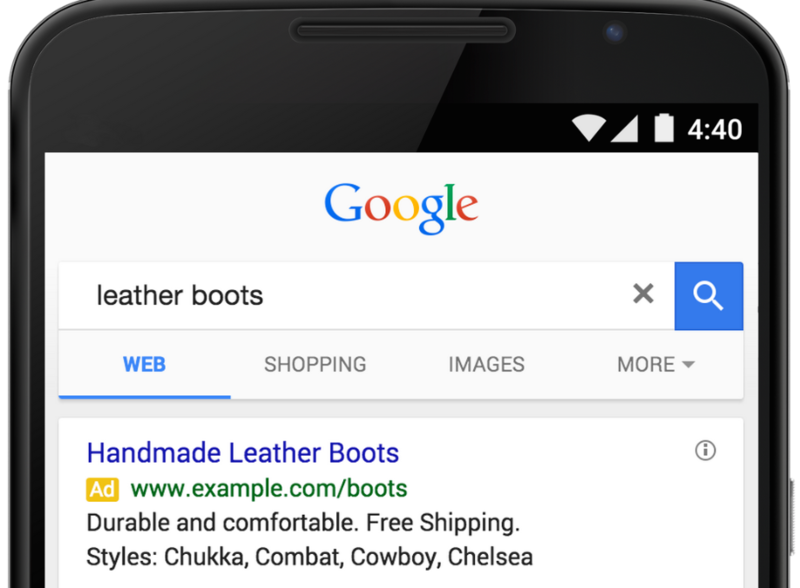 In some cases, businesses were removed from the SERPs completely. Even in its most benign form, SEO needs to have more than just good intentions behind it. Guest blogging is great – it still is – but if you’re doing it simply with the intent of earning a backlink, it’s the wrong choice. SEO for 2015 needs to be honest, transparent and genuine. Especially if you’re planning to be in business for the long-haul. Let’s start with what SEO isn’t: Dead. Nope, not by a long shot. Sure, you’ll hear lots of people who don’t practice SEO telling you differently but that doesn’t make it true. In fact, SEO is alive and well – although it might be time to replace that horribly tainted acronym. Even Google itself publishes an SEO Starter Guide. When SEOMOZ.com changed their name to simply Moz.com, it was a signal that it might be time to consider a more holistic approach to your SEO practices. Moz has always been about white hat activities and their decision to remove SEO from their name was a sign of the times. They saw a shift in the market coming before many others did. Gaming the system in any way is no longer going to be an acceptable practice. It’s just not worth the risk or penalties that can be imposed by the major search engines. But that’s very different than making the assumption that SEO is dead. As long as search engines exist, so too will optimization. At its core, SEO still involves the process of building and optimizing your website so that it is easily crawled, indexed and ranked by search engines. Writing for people is great, and important, but if your content isn’t understood by search engines, don’t expect to find it in their results pages anytime soon. For anyone who owns or maintains a website that means staying on top of the requirements and recommendations imposed by the major search engines. How accurately does your website comply with the Google Webmaster Guidelines? Many small business websites, despite doing nothing inherently wrong (ie. gray or black hat SEO), are poorly optimized for SEO. More often than not, it’s because of the belief that “SEO is dead”. This belief is costing them in terms of total indexed pages, rankings in the SERPs, and ultimately lost conversions, sales, and customers. Even a beautiful website with amazing content needs SEO. These are just a few of the on-page SEO factors you should be considering every time you click publish. Consider creating yourself a checklist that can be used anytime you publish new content. Google doesn’t want you to avoid SEO. They just want you to avoid shady practices that could be interpreted as cheating. If you interpret that as a need to abandon any and all SEO practices, your website will probably suffer. 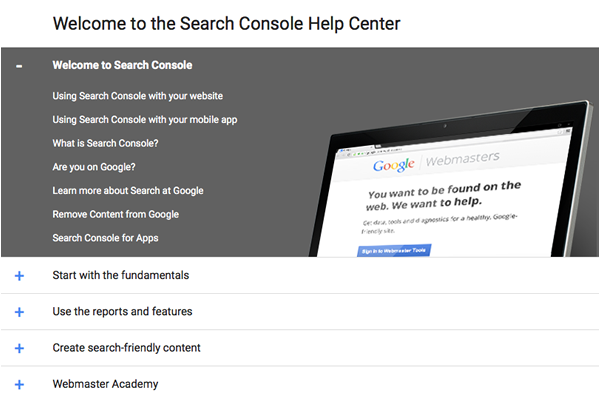 Just take a look at all the information Google provides in Google Webmaster Tools(now Google Search Console). Most of the data is designed to help you optimize your website for search. Reviewing that data is something that should be on your list of priorities. In case you’re wondering what kind of information can be found in GWT, let’s take a closer look. It makes is easier for you, the reader to find similar or relevant content. It makes it easier for search engines to crawl the site. We haven’t even touched on structured data, fixing crawl errors, submitting sitemaps or submitting new pages to the index. All of these factors play a key role in your overall SEO and they are all in line with what Google expects from a well optimized and search-friendly website. It’s absolutely true that link-building in its most commonly known form is dead. But make no mistake, links are still important. But the only way you can safely build a link profile is by producing creative, engaging, well written or controversial content. It can be written content, video, infographics or a combination of the three. Creating this kind of content should be part of your overall SEO strategy and is more appropriately referred to as earning links. Saying you shouldn’t hire someone to help with SEO for your website is like saying you shouldn’t hire someone to help with design, development, copywriting or content. SEO plays a role in all of those independent elements to a certain degree. SEO is a process that invades every facet of your website. While you might be able to work your way through the process of search engine optimization on your own, hiring an expert or someone who works with SEO on a regular basis will save you time, money and mistakes. Hiring someone to perform SEO is no different that hiring someone to design or develop your website. You want an individual or company that is honest, transparent, knowledgeable and has a great track record. The objective of this article was to put to bed the notion that SEO is dead – to clarify what is fact and what is fiction. While best-practices have changed and penalties for breaching the rules have become more serious, SEO still plays a vital role in the visibility of your website. We only touched on a few of the bigger, more obvious factors involved in SEO for this article. We haven’t approached the topics of keyword or competitive research, local SEO, or the value of social networks. The bottom line is we have a choice to either embrace SEO in it’s current state or pretend it’s dead and avoid the best practices that are outlined by Google. One thing is for sure, if you’re trying to rank for competitive search terms, it’s going to require more than a well-designed website and interesting content. What do you think of the current status of SEO? Do you embrace any particular strategies or best practices? If so, please share in the comments below. This article originally appeared on Elegant Themes.